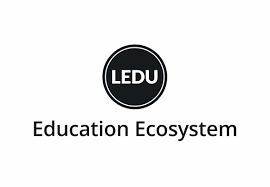 Education Ecosystem is a decentralized ecosystem for learning about new technologies and trying them out hands-on using free practical projects. We are like GitHub on video for developers. Education Ecosystem is building the world’s biggest learning ecosystem for developers, starting with the six topics: artificial intelligence, cybersecurity, game development, data science, cryptocurrencies and programming. The main participants in the ecosystem are project creators, viewers, moderators, API developers and developer-focused companies. Project creators create educational projects and are paid monthly, lifelong royalty fees as viewers learn from their projects. 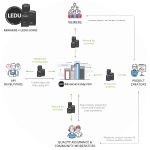 We offer developer-focused companies Developer-Relations-as-a-Service (DRaaS) automation, which enables them to reach their target audience in the most cost-effective way. As of 2018, there were 23 million developers globally. This number is expected to reach 27.7 million by 2023 as the demand for software developers continues to rise. Demand for 1 developers is high, as well as for developer-focused products. GitHub was acquired by Microsoft for $7.5B and GitLab has a current valuation of around $1.1B. These 2 valuations validate the size of the DevOps market and the potential opportunity available for developer-focused products. In this paper we explain the token mechanics for the LEDU smart contract blockchain tokens and how they are integrated into the entire product and ecosystem. Many students and professionals dream of building real products. However, not many achieve this goal because they lack the real skills needed to build a product from the fields of artificial intelligence, cybersecurity, game development, data science, cryptocurrencies and programming. It is easy for anyone to take introductory courses on a topic online and say they completed it. Platforms like Udemy and Lynda do not teach developers how to build real products from beginning to end and many give up after learning the basic curriculum due to the lack of real life applications for their learning. Beginners can easily find basic introductory courses on Udemy, Pluralsight or Lynda. Those courses are basic and do not necessarily teach them the practical skills needed for their careers. Where people get stuck and give up is after they have finished the beginner level courses and want to build real products. Watch and learn how to build a complete product. Watch sessions live or as archived video. Clone projects and interact with them locally via the Education Ecosystem Git or download videos and project files to practice with. Be in a supportive peer-to-peer knowledge-sharing community. Improve their skills and make more money in their careers.